UCL's Mullard Space Science Laboratory is one of the key facilities in the UK's space programme. Involved in space science and spacecraft design since its foundation in the 1960s, MSSL has played a central role in many missions that have become household names. 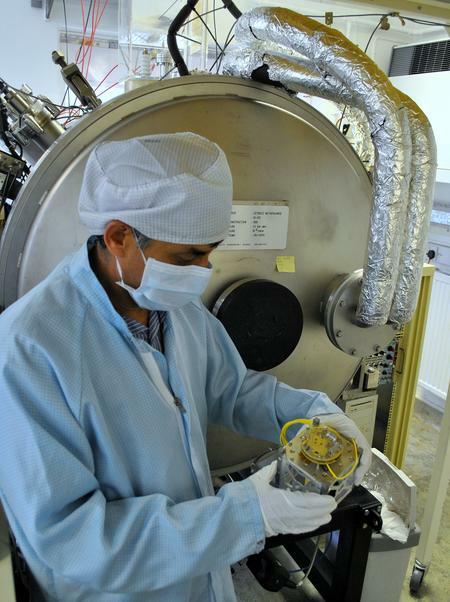 One area being pioneered by MSSL today is the construction of smaller and lighter scientific payloads for satellites. 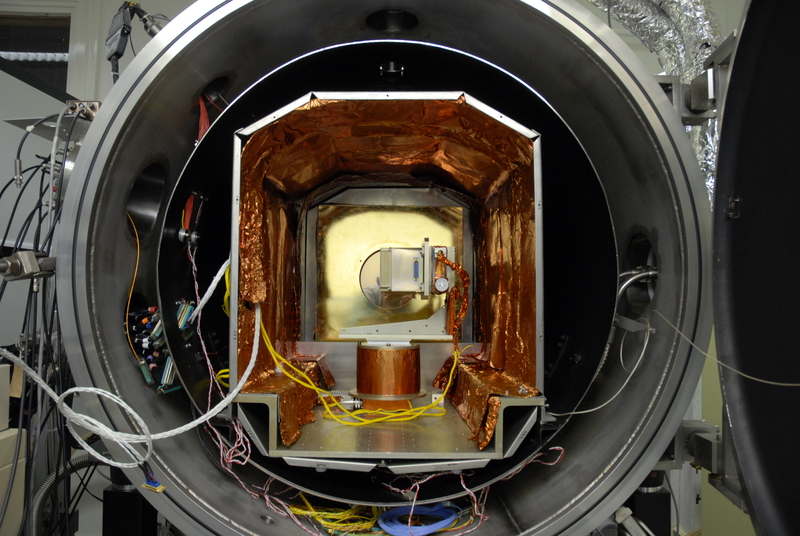 The prototype in this photo is for an electron detector which will make measurements of space weather such as solar flares and coronal mass ejections. These can have substantial impacts on communications satellites and the Earth's upper atmosphere. The detector is the small disc-shaped instrument mounted on the square metal chassis; holding the device is detector physicist Dhiren Kataria, who leads MSSL's miniaturisation efforts. In this image, the sensor is attached to a CubeSat chassis, just 10cm along each side. The small size, low weight and standardised shape makes the CubeSat design a popular choice for low-cost space missions, as they can easily piggy-back on other launches. The detector is about to be tested in a cold vacuum in the chamber in the background, which will simulate the conditions present in low Earth orbit. In light of the UK's vote to leave the European Union, UCL President & Provost Professor Michael Arthur assures UCL students and staff from EU countries that they will continue to be as valued and as welcome as before. Professor Arthur also confirms that there will be no immediate changes to arrangements for EU staff and students.